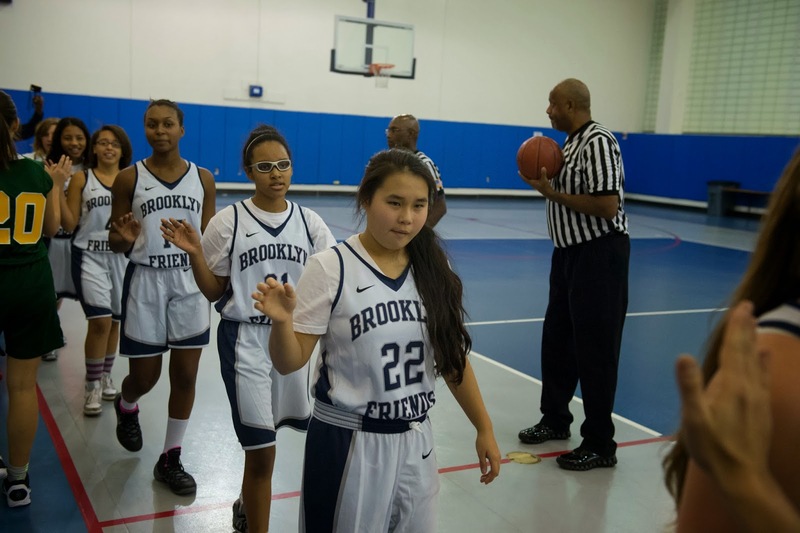 On Tuesday the BFS Girls Varsity Basketball team defeated Birch Wathen Lenox 36-22 in the lower gym. It was the teams first win this week and fourth in a row. The girls got off to a slow start, but so did our opponent. Both teams were feeling each other out in the first few minutes. BFS finally took a 6-4 lead and never looked back. Once again, the team played a strong first quarter finishing with a 12-4 lead. Junior Julia B. got the scoring going late in the first quarter but finished with an impressive eight points. Senior Chloe B. and sophomore Abby M. each finished with a first quarter basket. The team once again played solid defense. BWL got off some good shots, but BFS was moving their feet and getting their hands in the passing lanes as well as contesting their opponents shots. BFS continued its strong play during the second quarter as they held BWL to two total points. Senior Julia G. knocked down a nice three pointer from her favorite spot on the top of the key. Julia B. picked up four more points, and Abby added another basket. BFS had a 21-6 lead going into the half. It is much easier playing from a ahead instead of behind like the team had to earlier in the season. Good defense leads to good offense. Practice has been paying off for this team. Our opponent made some nice adjustments at the half and they played very hard as came back with 16 total second half points to our 14. BFS rested some of their keep players and changes things up a little. The team has another league game today and wanted to be fresh for that one go into the US Exam Period and Winter Break. Senior Julia G. continues to run that show for BFS at point guard. She finished with 5 points and 7 assists. She does a wonderful job controlling the game on the offensive side and her much improved defense of late has really set the tone for BFS and the teams solid play. Julia B. finished with 16 impressive points and 14 rebounds (including 6 offensive) as she rested most of the second half. Abby had 5 points, freshman Ivy L. knocked down two nice jump shots to total 4 points, senior Chloe B. who has been playing really well had 4 points and 6 rebounds, and sophomore Taty R. swished a nice jumper late to give her 2 points. It was another team effort as senior Aria C. once again started on defense and brought the energy up top. Junior Julia C. who missed some of the earlier part of the season for a school performance came of the bench and was extremely vocal on defense. The team will travel today to Bay Ridge for its final game before the break. The team currently boasts an overall record of 5-3, including an impressive 4-1 league record. Coming off last years very successful season where the team finished 17-6, losing by only three points in the championship as two late three’s came up short in attempt to tie the final game, and losing a 1,000 point career corer, as well as some other key leaders, the team was not really sure what to expect this year. So far, so good. Lets keep it going. Blue Pride!! 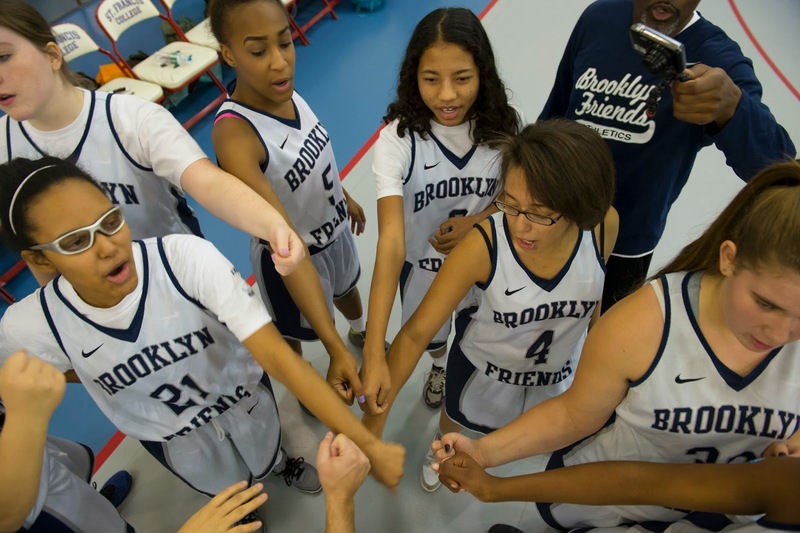 On Wednesday the BFS Girls Varsity Basketball team defeated Bay Ridge Prep 31-12 on the road. The team hopped on the bus missing a few players due to numerous reasons. They were relaxed and confident as they had just one four in a row. Hoping to make this number five they took to the court for warm ups. The coaches got them ready and once again BFS came out strong to start the game. We found ourselves up 8-2 after one quarter of play. Senior point guard Julia G. got to the basket for two nice lay ups, while juniors Julia B. and Julia C. each knocked down mid range jumpers. So after one quarter of play the BFS Julia’s eight and Bay Ridge Prep two. BFS didn’t stop there, they mixed things up and got everyone involved as they poured in 12 second quarter points to their opponents 4. So BFS found themselves with a comfortable 20-6 halftime lead. BFS continued its solid play and great defense and closed the game out with another impressive victory, their fifth in a row. Julia B. once again led the way this time with 12 points and 12 rebounds (5 offensive) in limited action. Julia G. also played limited minutes, but was extremely productive with 11 points , including knocking down her only three pointer from deep in the third quarter, and 4 steals. Sophomore Abby M. had another solid game and showed some real promise on both ends blocking shots, handling the ball, driving to the basket, and shooting jumpers. She finished with 4 points, 4 rebounds, and 6 blocks. Julia C. brings it on defense, she is extremely vocal. She contributed on offense as well with 4 points. Freshman Ivy L. continued her strong play on both ends of the court. Sophomore Taty R. and freshman Monet M. continue to improve each time they step on the court. The team continues to work to get better. We are currently 6-3 overall and 5-1 in ISAL league play. They will now focus on their midterm exams and then take some time off during winter break. See you in a couple weeks. Blue Pride!! Seminary, hope to see you there.